Services expand KDE’s Dolphin’s capabilities and allow you to create DVDs, run root commands, and convert audio and video files right from within your file manager. There’s more to Dolphin services than the casual eye might suspect. KDE has been my main desktop environment for seven years. Until now, though, I hadn’t noticed Dolphin services, because I do most of my file management from the shell. Besides, in Dolphin Preferences, Services look uninteresting — largely a matter, I thought in passing, of setting which file types receive a preview. Yet recently, when I was exploring, I discovered a cache of customization options I had never imagined. The Dolphin Add-On Installer customizes file management in almost every way imaginable. Services, as you might infer, are Dolphin’s version of what other applications call extensions or plugins. 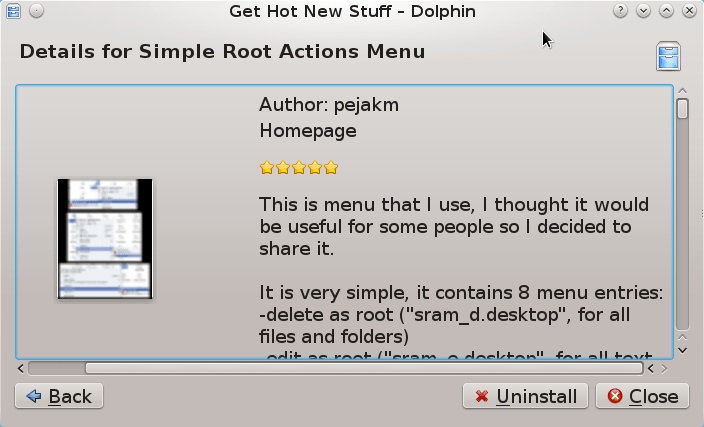 Often, they are front ends for command line or KDE utilities, centralizing functionality within the Dolphin window. Dolphin installs with a number of services by default, such as Write CD Image with K3B or ones to add Delete and separate Copy To and Move To menu items. Each of these can be activated with the click of a checkbox. However, you can also download and install additional services from Settings > Configure Dolphin > Services > Download New Services. 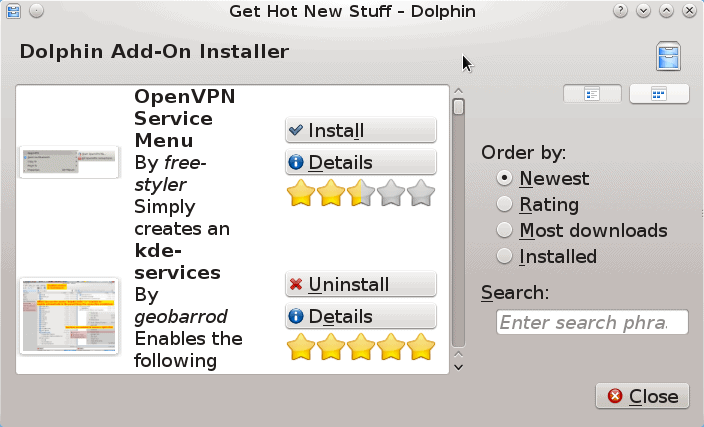 The selection opens the Dolphin Add-On Installer, which displays available services with various filters, such as Newest or Most Downloads. There is also a five star rating from users. You can view the list as icons, but the best choice is Details View Mode, which includes a Details button that brings up a brief description of each service. The details of the Simple Root Actions Menu service. What kind of services are available? Almost fifty are listed in my installation, so the best that can be done is to mention a random selection. 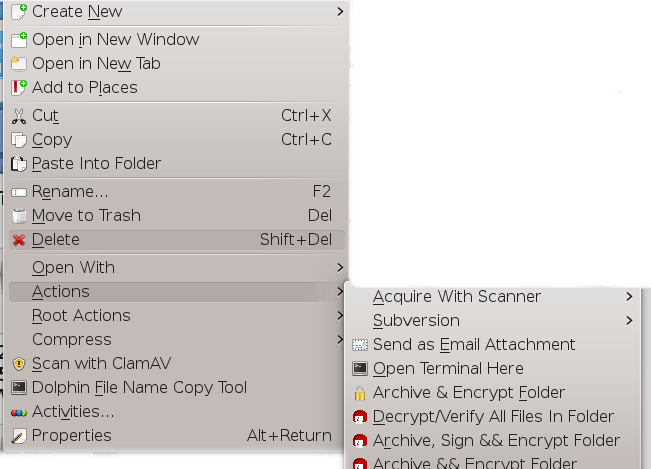 Most of the service’s names are self-explanatory: for example, Autoversion, Check md5sum, Simple Root Action, Send as Attachment with Kmail, KService Menu PDF, and Scan with Clam AV. Other services accesses printer-qt from within dolphin and Kdiff3, or Dropbox, or provide access to basic actions performed as root. If a function has anything to do with manipulating files, a Dolphin service likely exists for it — or, if not, is about to. After installing services, you will find Dolphin’s menus crowded with new functionality, so choose your customizations wisely. In theory, any service can be installed in a matter of seconds by clicking the Install button. However, the practice is a little more complex. 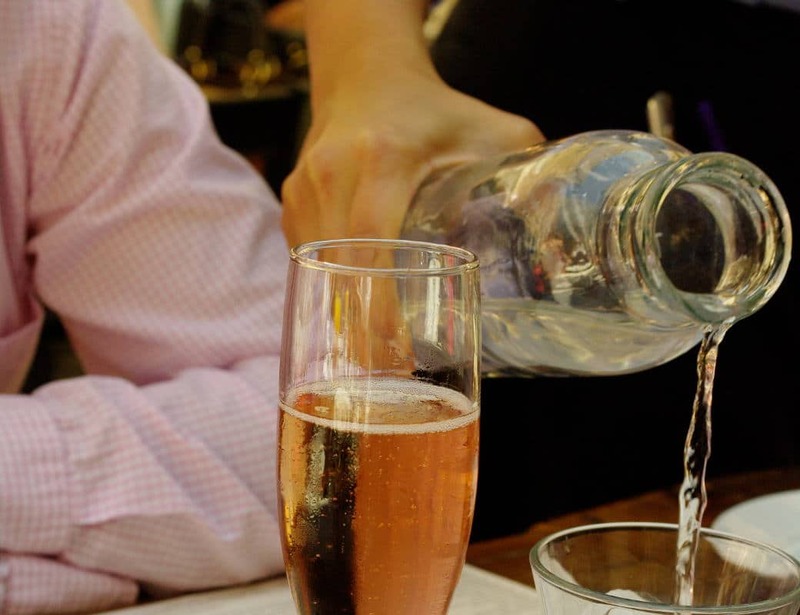 Many services, for example, require a specific application to work. Some fail to install for no obvious reason. The Ubuntu One service, presumably, is obsolete. Some work immediately, others only after logging out and back into KDE. If Dolphin’s services have a fault, it is a lack of consistent standards and maintenance — almost certainly due to a lack of project workers, but annoying even if understandable. 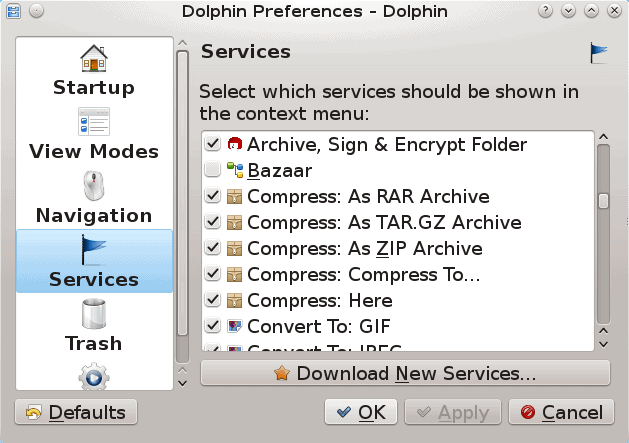 After installation, most of the new services are available as top-level items and sub-menus in the right-click menu in Dolphin’s panes. It would be easy to indulge in so many services that what is meant as an aid becomes a hindrance with a clumsily long menu, but, by picking and choosing the services you install, you can customize Dolphin to suit your work habits, and do more with your file management from within a single window — a luxury that makes the inconsistencies completely forgivable. You won’t find much that is innovative in Dolphin services, but you will find plenty that is convenient.